A Federal High Court in Lagos on Tuesday turned down an application of mareva injunction seeking to bar MTN Nigeria Communications Limited from emptying its accounts in 21 commercial banks in Nigeria. 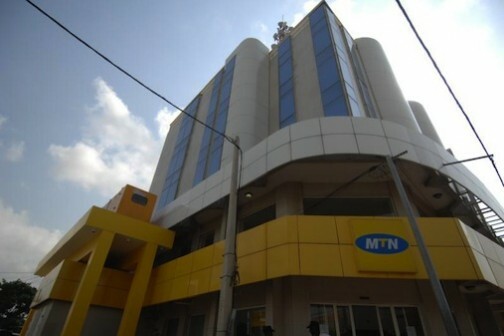 The application had been filed to prevent MTN from boycotting the payment of the N1.04tn fine imposed on it by the Nigerian Communications Commission for its failure to deactivate its unregistered subscribers. The Attorney General of the Federation and Minister of Justice, Abubakar Malami (SAN), who filed the application on Tuesday, had expressed the fear that MTN could move all its funds out of the country before the N1.04tn fine could be enforced. He had sought an order directing all the 21 banks to open a special interest-yielding account in the name of the Chief Registrar of the Federal High Court and move N1.04tn out of whatever funds that was standing to MTN’s credit in their possession. The counsel for the AGF, Mr. Dipo Okpeseyi (SAN), in a 14-paragraph affidavit deposed to by his junior, Steve Nwabueze, had argued that MTN was in the habit of regularly repatriating its funds out of Nigeria. He noted that between October 2007 and May 2009, a period of 19 months, MTN moved over $7.7bn of the money made in Nigeria to a foreign account. He further pointed the court’s attention to an instance when in one day, specifically on February 8, 2008, MTN transferred over $936m out of Nigeria to accounts in Mauritius, Cayman Island and British Virgin Island. “Unless this honourable court urgently entertains this application, the plaintiff/respondent would move its funds out of Nigeria, being the jurisdiction of this honourable court, and thereby frustrate the enforcement of the fine in the likely event that this honourable court sanctions the imposition of the fine,” the AGF’s counsel added. Okpeseyi maintained that MTN was under an obligation to pay the N1.04tn fine, because it was NCC’s administrative decision, which remained final unless it was reviewed by the commission or nullified by the court. He said though NCC had earlier given MTN a concession on the fine and reduced it to N780bn, but since MTN had neglected or failed to pay on or before December 31, 2015, the fine remained N1.04tn. He alleged that instead of taking advantage of the concession MTN resorted to filing a suit in order to buy time, with the hope that it could move all its funds out of Nigeria before the case would be decided. Okpseyi urged the court to grant the application in the interest of justice to prevent the court’s decision from being rendered nugatory if it went in the favour of NCC and AGF. But Justice Idris Mohammed turned down the application as he said the AGF had not shown enough facts to prove that MTN was about to empty its bank accounts and move its funds out of the country. Idris, who noted that the case was sensitive and of public interest, said he would rather urgently hear the case filed by MTN to challenge the fine and give a judgment within a short time. He, however, made an order for the parties to maintain status quo ante bellum pending the determination of the suit and adjourned till January 22, 2016 for hearing. MTN had assembled seven Senior Advocates of Nigeria, led by Chief Wole Olanipekun, to challenge the N1.04tn fine imposed on it by NCC. The company contended that NCC could not act pursuant to Section 70 of its establishment Act to impose the fine on it. But Malami, who took sides with the NCC and justified the imposed fine, said it was his duty, as the chief law enforcement officer in the country, to ensure that all the laws made by the National Assembly are obeyed.